Cleveland Range is a brand name that has come to mean innovative cooking equipment. 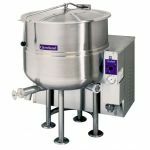 Cleveland Range is the only steam cooking manufacturer that specializes in the design and manufacturing of steam cooking equipment. 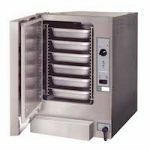 So you can be assured that the Cleveland Range steamer, kettle, tilting skillet or combi oven equipment that you purchase is of the highest quality and performance level.